Like her colleague Alenoush Terian in Iran, Paris Marie Pishmish played an instrumental role to establish the study of modern astronomy in Mexico. She was born Marie Soukiassian in Constantinople on January 30, 1911. Her father Soukias was the grandson of Mikayel Pishmish, a member of the amira class that had an important role as the Armenian commercial and professional elite in the Ottoman Empire, who was Minister of Finance under Sultan Abdul-Aziz (1861-1876), and her mother Filomen was the niece of Mateos Izmirlian, Patriarch of Constantinople (1894-1896) and Catholicos of All Armenians (1908-1910). The high society environment where she was raised put high priority in education. She first attended an Armenian elementary school and continued on to the Üsküdar American Academy for Girls, an elite private school in Constantinople, where she discovered her interest in mathematics. Pishmish became one of the first women to graduate in Mathematics and Classical Astronomy from the Science School of Istanbul University in 1933. Pishmish taught mathematics and astronomy at the Getronagan High School in Istanbul, and worked as an assistant at the Observatory throughout her doctoral program in astronomy. She received her doctorate in 1937. Her advisor, the noted German astronomer Erwin Freundlich, arranged a postdoctoral fellowship for her at Harvard in 1938. After the beginning of World War II, she became an assistant astronomer at Harvard College Observatory (HCO), a position she held from 1939 to 1942. She also met Felix Recillas, a Mexican student of mathematics sent to study astronomy, whom she married in 1941. Mexico was building a modern astronomical observatory in Tonantzintla, near Puebla, inaugurated in 1942 with an international congress. Felix and Paris Pishmish-Recillas also attended. The thirty-one-year-old Armenian scientist, the first professional astronomer that Mexico had, was hired to work at the observatory, where she worked until 1946. She had two children, Elsa Recillas Pishmish (an astrophysicist) and Sevin Recillas Pishmish (a mathematician, 1943-2005), and spent two years with internships in Princeton and in Chicago. In 1948 Pishmish accepted a position as an astronomer at the Tacubaya National Observatory, affiliated with the National Autonomous University of Mexico in Mexico City, where she taught for over fifty years. The astrophysics program that she founded in 1955 has remained in place at the National Autonomous University of Mexico and her critical role in enriching the field of astronomy has helped to fashion Mexico into a center for astrophysical research. Pishmish was involved in all stages of the development of astronomical studies in Mexico, from writing the first modern astronomy and astrophysics curricula to acquiring the best, state-of-the-art technology. She was also devoted to teaching and training new generations of scientists, some of whom went on to make great contributions to astronomy and other scientific disciplines. The university recognized her efforts with the award of a Ph.D. honoris causa and the Science Teaching Prize. Many of her most notable accomplishments are in her research. Over the course of her career, she wrote over 120 scientific articles on various aspects of astrophysics and the study of galaxies. Twenty-two stellar clusters bear her name. She also fostered the publication of Mexican astronomical journals. From 1966 to 1973 she edited Boletín de los Observatorios de Tonantzintla y Tacubaya. 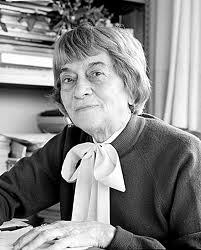 She was also founding editor of Revista Mexicana de Astronomía y Astrofísica since its inception in 1974. Pishmish was also an active member of the International Astronomic Union, and headed the Mexican delegation to all its general assemblies from 1958 to 1994. Her career was also marked by research trips, conferences and visiting professorships at universities and research institutions around the world, including the Byurakan Observatory in Armenia, where she was invited by the eminent Soviet Armenian astronomer Viktor Hambardzumyan. In her memoir, Reminiscences in the Life of Paris Pişmiş: A Woman Astronomer (1998, co-written with her grandson Gabriel Cruz González), she recounted with particular enthusiasm her visits to Armenia where she delighted in being able to communicate in her native language. Marie Paris Pishmish passed away on August 1, 1999. Her positive influence turned her into an effective role model, especially for young women. At the time of her death, 25 per cent of the eighty astronomers working at the Astronomy Institute of the National Autonomous University were women.